Are you a BMW owner in the Finksburg area that is looking for knowledgeable and honest auto repair and routine maintenance? Each car on the road today has its own unique maintenance schedule, and BMW is one of the best-selling luxury automobiles around. The BMW company has been making cars for more than a century, selling tens of millions of vehicles. If you have a BMW, it’s going to need servicing, whether because of a road hazard or years of wear and tear. Make sure your vehicle stays on the road as long as possible by bringing it in for regular service. Revolution Motor Works is the leading BMW service provider for Finksburg, Maryland, and the surrounding area. Whether your BMW needs brake, tire, A/C, engine, transmission, suspension, electrical, or any other type of maintenance done, Revolution Motor Works is here to do the job right, no matter what. Jorge, Jason, and our team of expert technicians take such pride in the work we do on your BMW that each repair service includes a 2 year, unlimited-mile warranty. You’re always a winner with Revolution Motor Works. If your BMW needs maintenance or repairs in the Finksburg, MD, area, make Revolution Motor Works your first choice option, every time. Revolution Motor Works in Finksburg comes highly recommended by many BMW owners who are sick of repair shops that can’t diagnose their BMWs problems or tired of going to the over priced dealership. He’s not alone. Our customers are willing to drive to Finksburg from near and far because our BMW service is second to none. Plus, all of our staff - from our friendly service advisors, to our ASE certified technicians, to our caring, local owners - are welcoming and happy to serve you. Here is a list of the types of BMWs we service every day: BMW X1, BMW X2, BMW X3, BMW X4, BMW X5, BMW X6, BMW 1 Series, BMW 2 Series, BMW 3 Series, BMW 4 Series, BMW 5 Series, BMW 6 Series, BMW 7 Series, BMW Z4, etc. If you’re looking for a repair shop with educated and experienced mechanics who know how to diagnose and fix your BMW quickly and on time, give Revolution Motor Works a call. 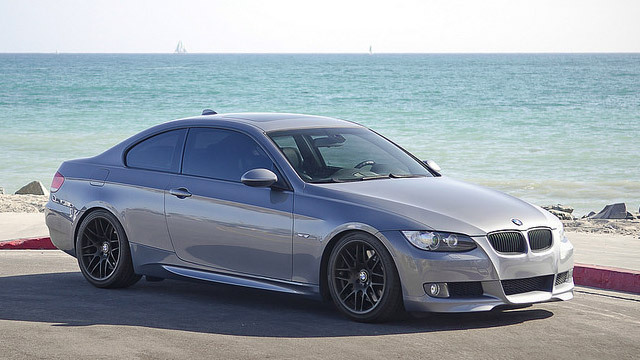 Give us a call today and let RMW take care of your BMW.